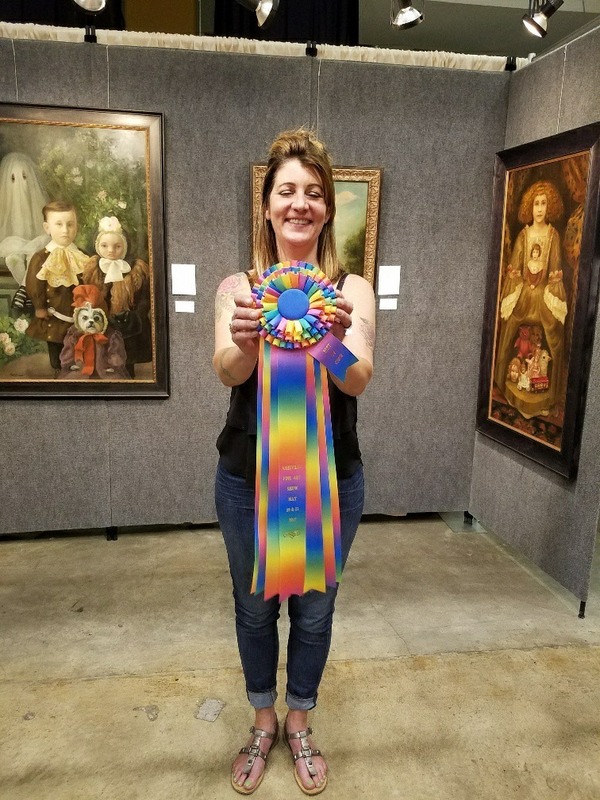 Hot Works’ inaugural Asheville Fine Art Show held May 20 & 21, 2017 at the U.S. Cellular Center brought 100 artists to showcase and sell their art in all forms of disciplines including: painting, sculpture, clay, glass, wood, fiber, digital, jewelry, photography and more. This fine art and fine craft show was juried by art professionals with 120+ years combined art education and/or art show experience and brought many artists to Asheville for their very first time. All artwork was original and personally handmade by the artists who participated in the show. There was something for everyone, in all price ranges. The Asheville Fine Art Show is sponsored by Hot Works, a professionally produced fine art fair with an outstanding national reputation for producing top-notch art shows. Hot Works has four other established quality juried fine art and fine craft shows in Estero and Boca Raton, Florida and West Bloomfield, Michigan - all voted top 100 art shows in the nation. Institute for the Arts & Education is the associated 501(c)3 non-profit organization which focuses on visual arts, diversity, community enrichment and fostering art education among youth. As part of our commitment to bring art education into the community, the Youth Art Competition for students in grades K-8 or ages 5-13 was integrated into the art fair. This year included 12 entries from 8 schools. Sponsored by Institute for the Arts & Education, there were four prizes with $250 in Youth Art awards. This program exposes students to the entrepreneurship of doing something they love for a living, which is creating their art. It also brings families to the art show who may not have otherwise attended, and exposes them to great art. In order to recognize exceptionally talented artists in the show, there were seventeen Professional Artist Awards. Mark Forman, a retired art educator and artist with 60+ years of art education and/or art fair experience was the selected “Artist Judge”. Mr. Forman traveled from Boca Raton to judge this art show. 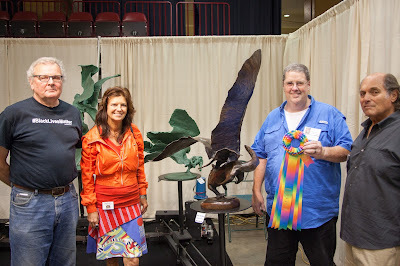 On Saturday, he judged the artists, with criteria centered on technique/execution, originality, and booth appearance. 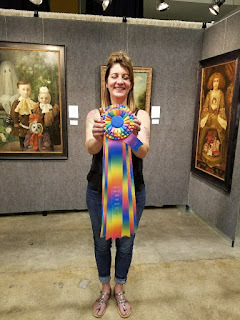 Each of the 17 winning artists, who travelled to Asheville from eleven different states, were met and greeted by the “Prize Patrol” team and provided with a beautiful two-foot long ribbon that they displayed in his/her booth for the remainder of the art fair. It was a very positive experience for the artists to meet Councilman Bothwell, who took the time to attend the art show and be there to distribute prizes and to congratulate the winning artists in the show. 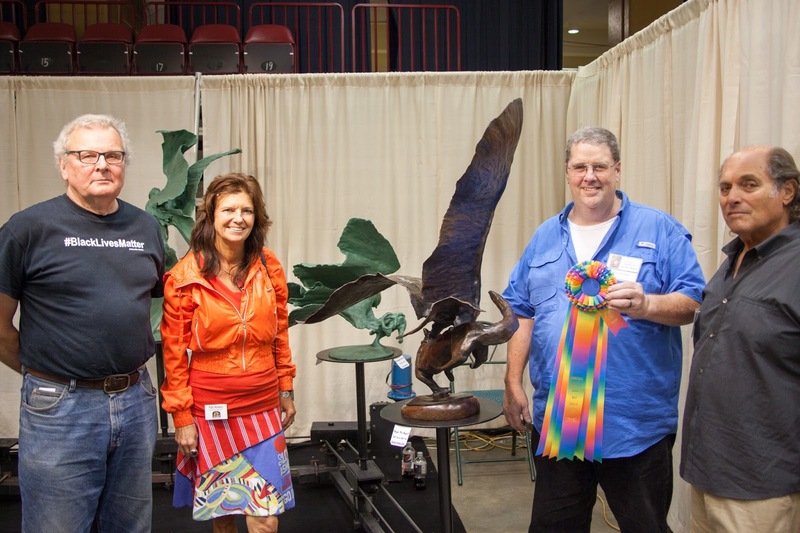 On behalf of Hot Works and the artists in the show, we are very grateful to have had Councilman Bothwell present at the show, and look forward to returning to Asheville for many more years to come.